Single sign-on (SSO) has become an important category in the identity and access management (IAM) market. Yet, with so many choices, IT admins want to know what the best SSO solution is for modern IT organizations. After all, enterprise cloud services account for 71.3% of the services in use by the average organization, according to SkyHigh Networks. We believe that the best SSO solution does more than just SSO for web applications. JumpCloud® Directory-as-a-Service® offers a full IDaaS platform, including SSO for systems, apps, files, and networks. First, however, we should discuss the development of the SSO category. 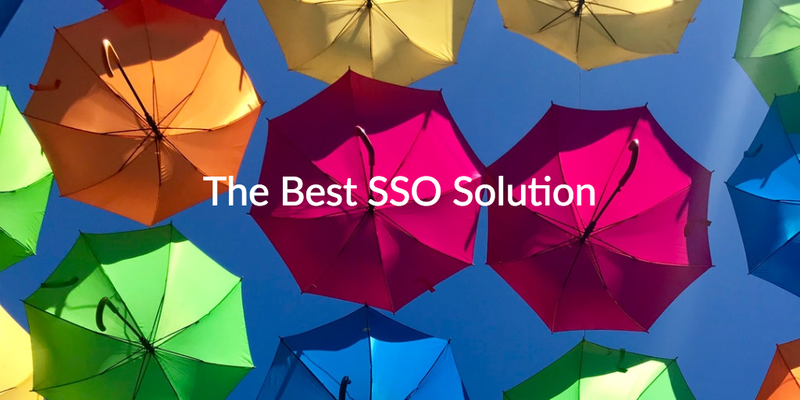 In doing so, we will gain a better understanding of SSO, and reveal why the JumpCloud True Single Sign-On™ platform is the best SSO solution. The concept of SSO can be traced back to the legacy days of Microsoft® Active Directory® (AD). AD is an on-prem identity management platform designed for domain bound networks of Windows® resources. It was released in 1999. Networks looked a lot different at the time. Most revolved around Windows, and almost everything was on-prem. While this type of network is almost unrecognizable today, one benefit was that users enjoyed an SSO-like experience for access to their IT resources. Of course, this was because IT resources and user systems were bound together by an AD domain controller. That meant that authentication was handled by a dedicated server located somewhere on-prem. In other words, there was a single source of truth for signing on to virtually any Windows-based IT resource that was available, circa 2000. The SSO-like experience with AD was great while it lasted. However, the nature of authentication started to change in the mid-2000s. The transformation started as web based services like Salesforce began to spread across the enterprise like wildfire. With each year that passed, more and more categories of applications shifted to the cloud. The only problem was that these new web applications could not be bound to a domain controller. That meant that leveraging AD for authentication was impossible.